More and more people are now living well into their 80s and 90s. This also comes with its own challenges, in particular how best to cope with lengthier periods of declining health. Given the shortage of vacancies at good quality care homes, Care Home Finder was originally set up to help people and their families to make the right choices. Since then it has broadened its remit to include ‘care at home’, 24/7 ‘live in’ care, assisted living and other care related facilities. Everyone at Care Home Finder has been through the experience of trying to find a care home for a relative, so we know just how stressful it can be, and we also know how important it is to make the right choice in the first place. These days many people live and work some distance away from their elderly relatives. This means they frequently have neither the time nor knowledge of the local facilities to be able to make the right choice on their own. In many cases, the need for a care home arises quite suddenly – often a fall, followed by a spell in hospital, and a sudden realisation that a return home without support will be untenable. In these situations, particularly where the individual concerned is self-funding, the time available to find a suitable care solution may be as little as one week. In other instances, there may be a more gradual decline in health, allowing more time to plan ahead, to ensure that the right decision is made. Why choose Care Home Finder? We have over 60 years’ combined experience of working in the elder care sector. All the information we provide you with is right up to date. For specialist financial and legal advice, we can refer you to our panel of independent experts. We can often negotiate reduced care home fees on your behalf. Saving you time, money and heartache. At no initial cost, we will simply listen to you and advise on how best we can help – whatever your need. 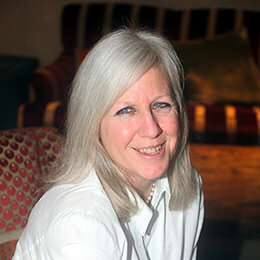 A founding Director of Care Home Finder, Fiona is our Chief Executive, and has been one of the main forces behind creating and delivering the high quality support and advice services for which the company is well known and respected. She has a strong reputation for integrity and reliability and is highly skilled in helping families tackle life changing challenges and provides empathetic support to friends, relatives, solicitors, etc. looking for suitable care for a loved one, or client. Fiona is also responsible for our existing care provision reviews, a service which helps to provide peace of mind for families, solicitors and other professional advisers, where someone is already receiving care. She is also a “Dementia Friends Champion”, and holds Dementia Information sessions on a voluntary basis to spread awareness of the condition, as part of an Alzheimer’s Society initiative. 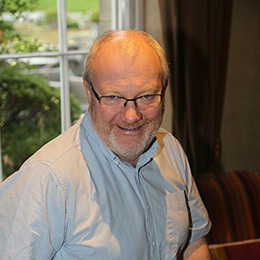 Simon has worked in the care sector for over 30 years, providing advice to care home operators both small and large. In this time, he has seen the market grow from a cottage industry, with mostly small independently owned homes, into the sophisticated market we see today. He is a regular member of different care forums and is also engaged by provider groups in both fee rate and contract negotiations at all levels. Simon is responsible for all the research we carry out, identifying and analysing suitable care services and then producing our easy to read and understand reports, which help to simplify the process. He is also instrumental in designing and delivering our care review service.